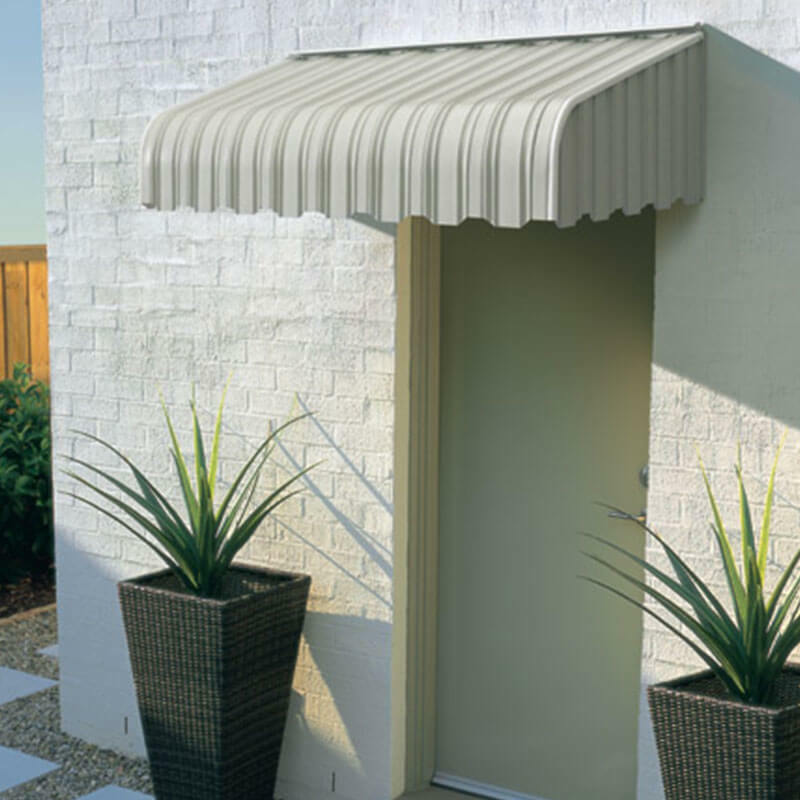 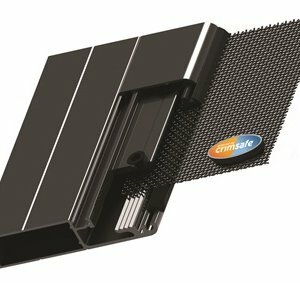 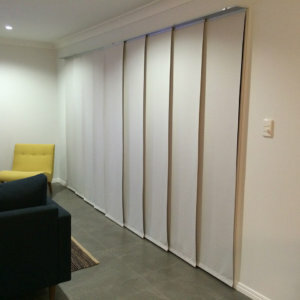 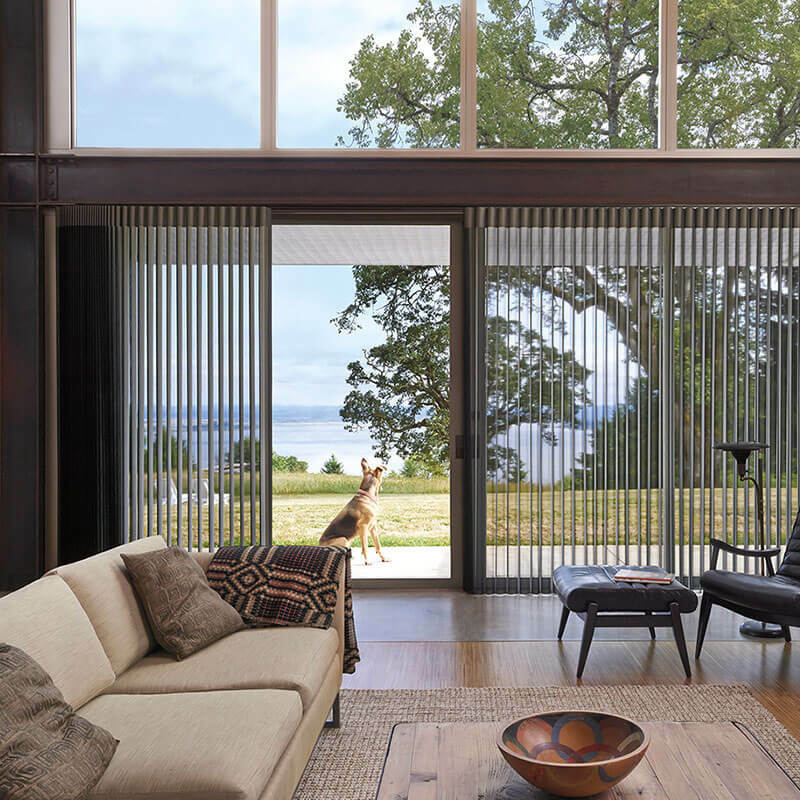 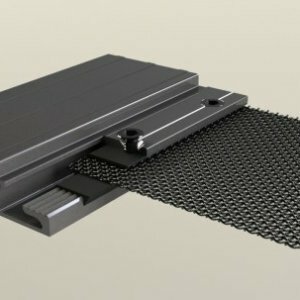 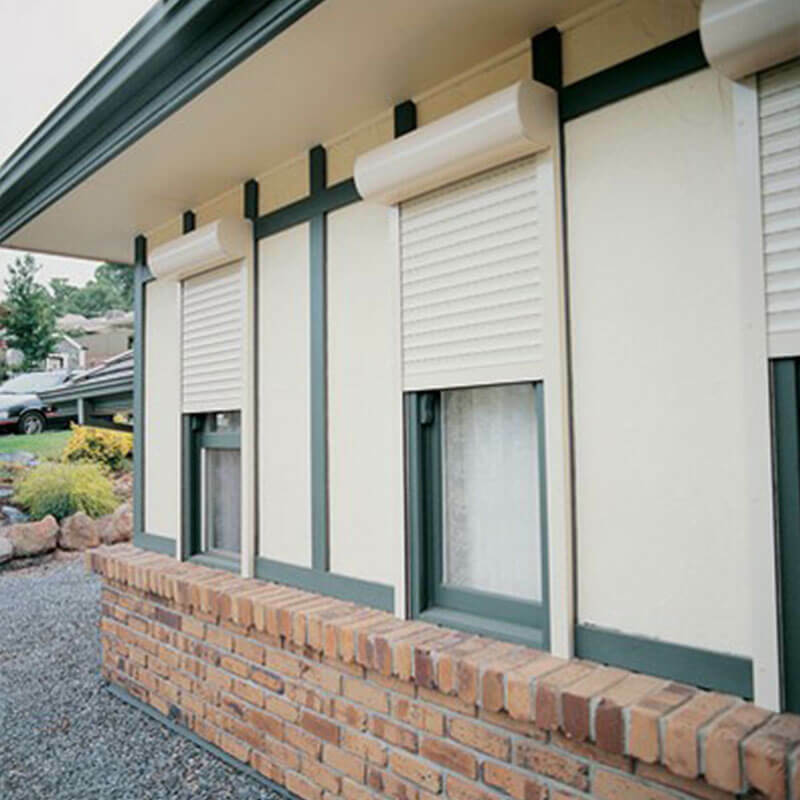 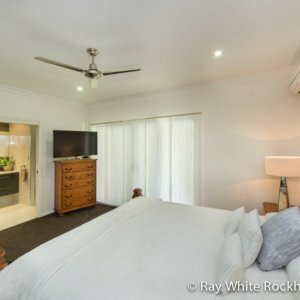 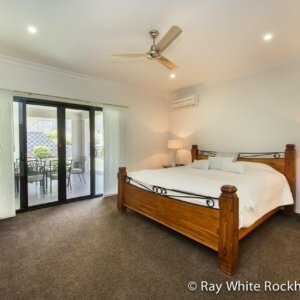 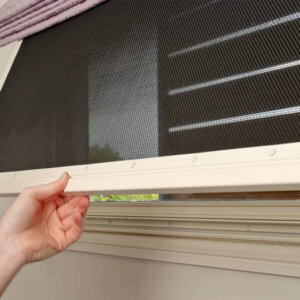 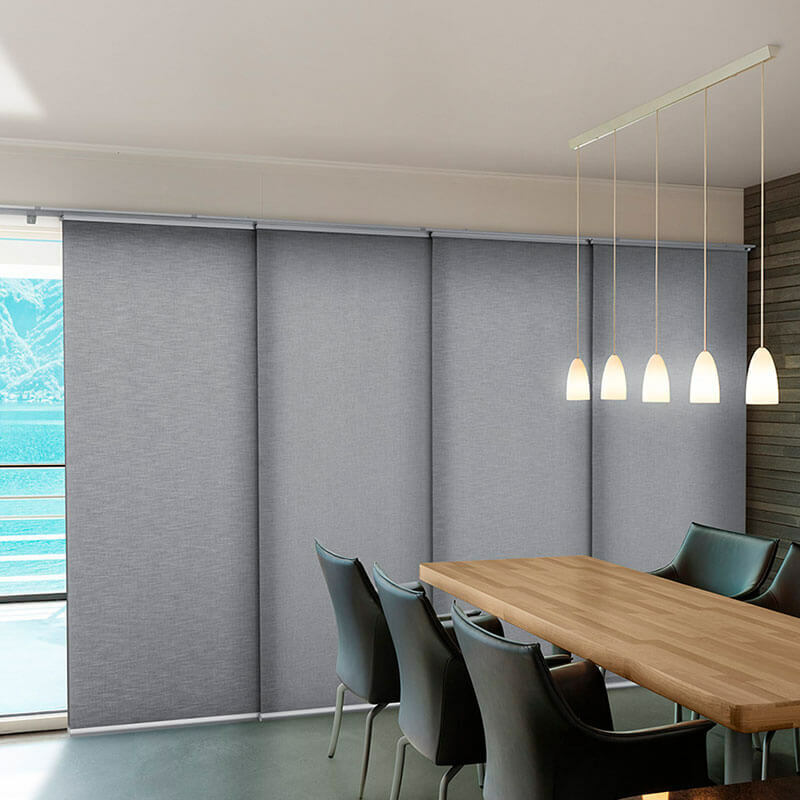 A perfect, stylish alternative to Vertical Drapes, Luxaflex Panel Glides are crafted from flat fabric panels attached to a simple headrail track system. 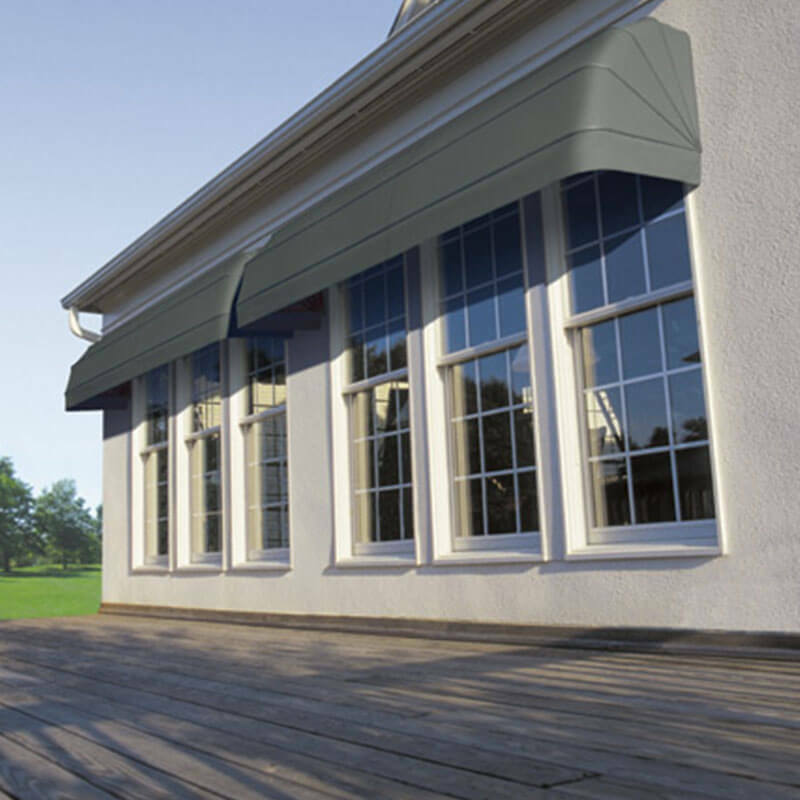 The glider mounted carriers, are lightweight and easy to operate. 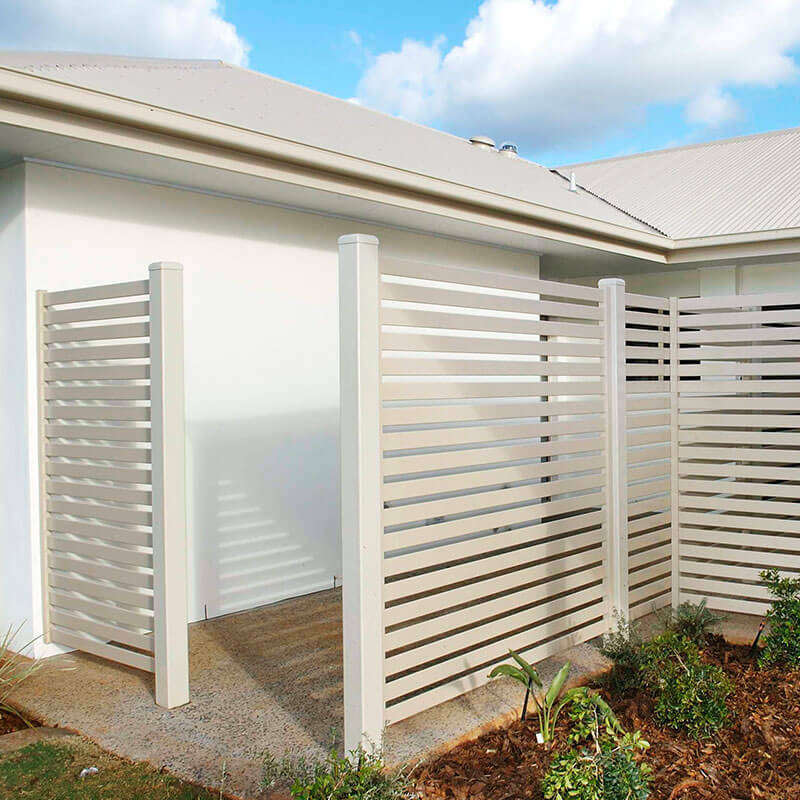 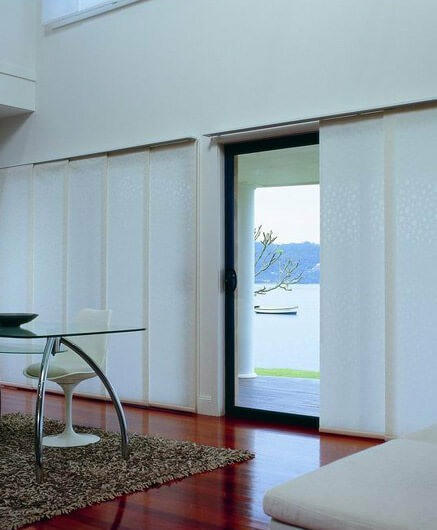 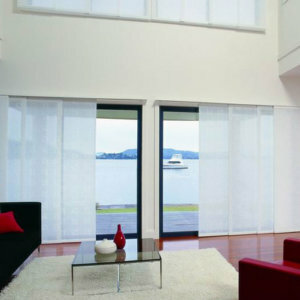 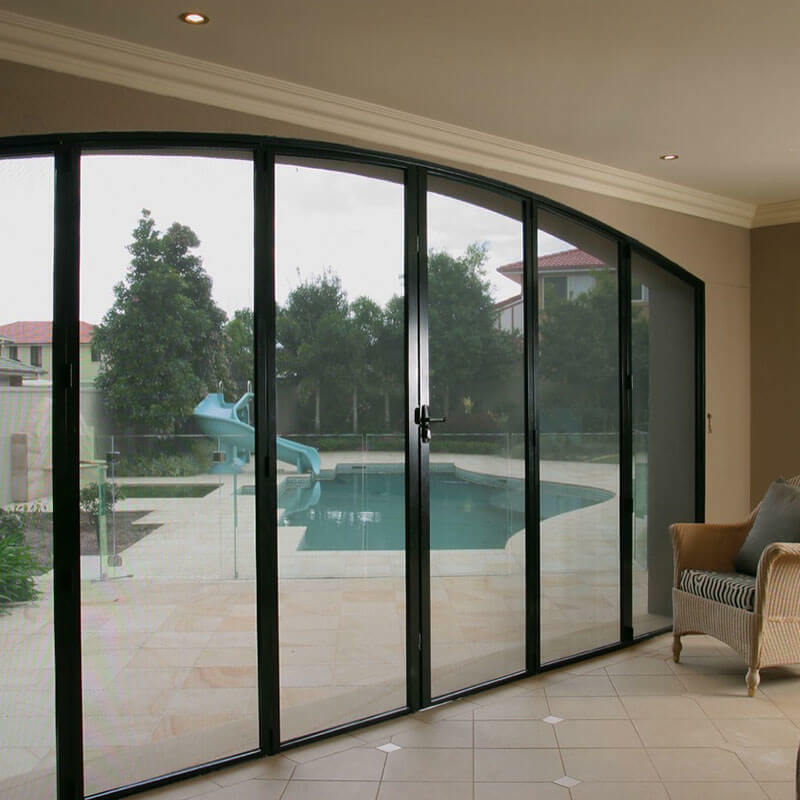 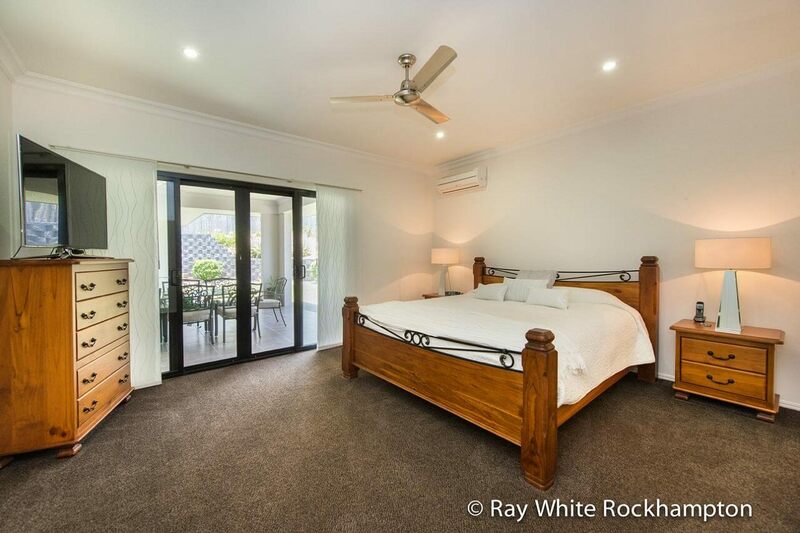 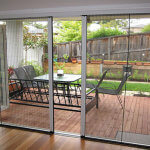 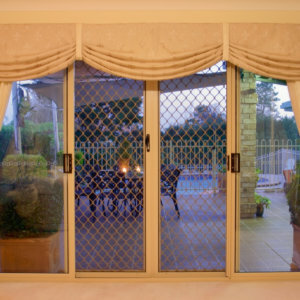 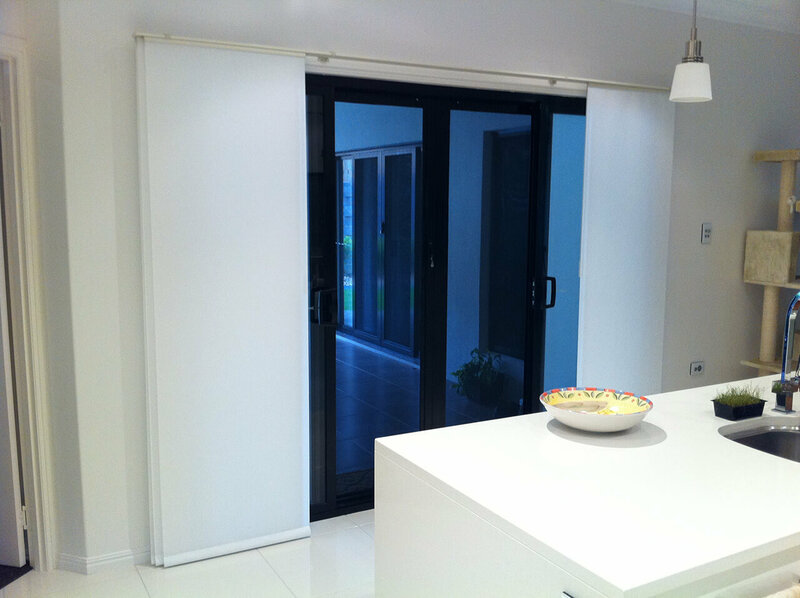 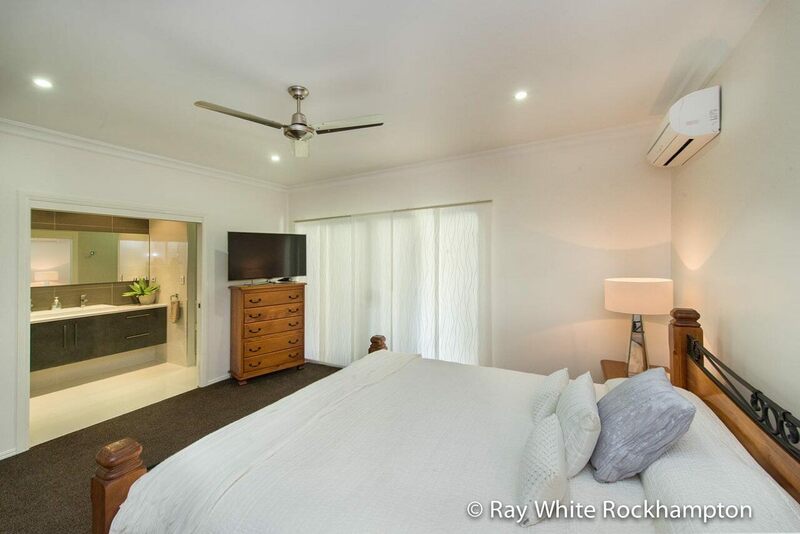 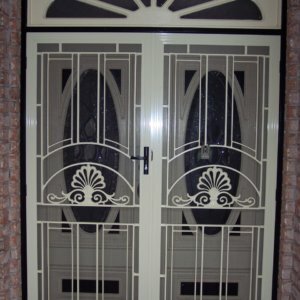 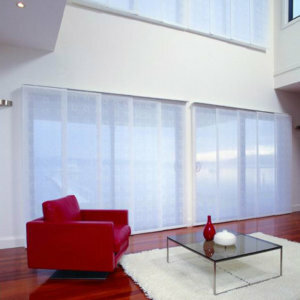 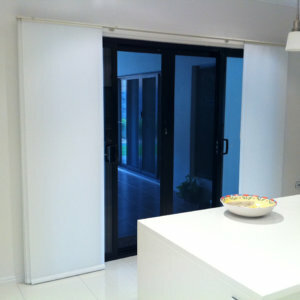 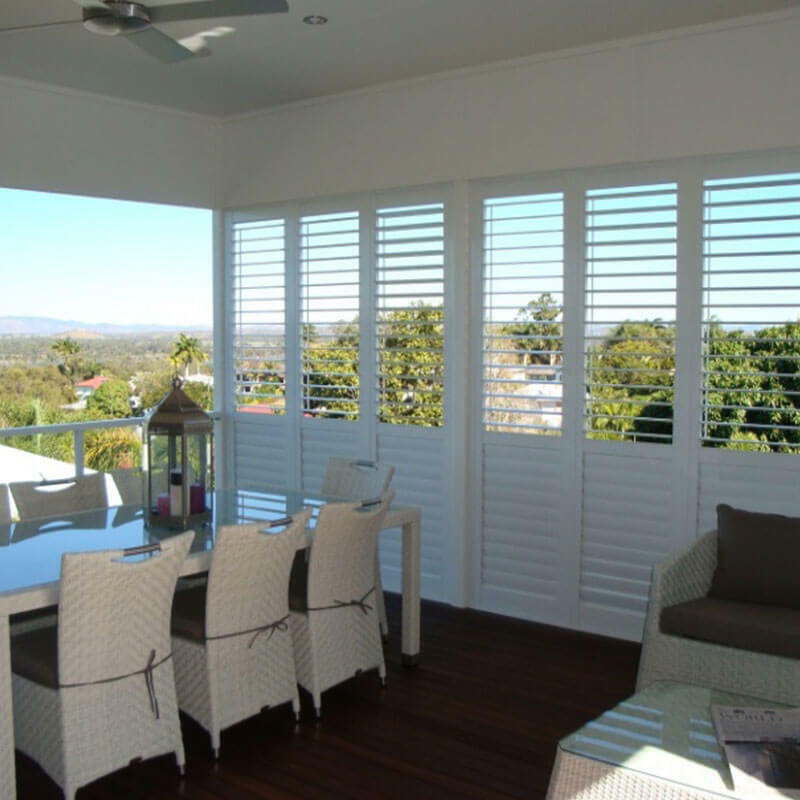 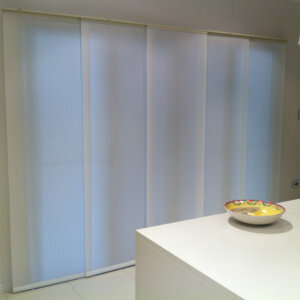 Ideal for large windows, doors or as a room divider. 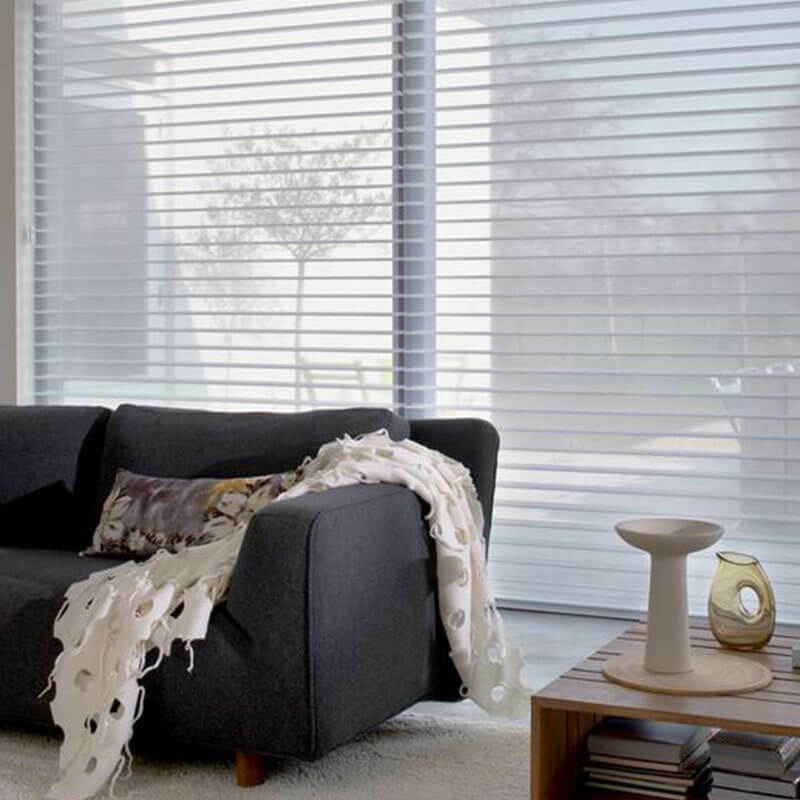 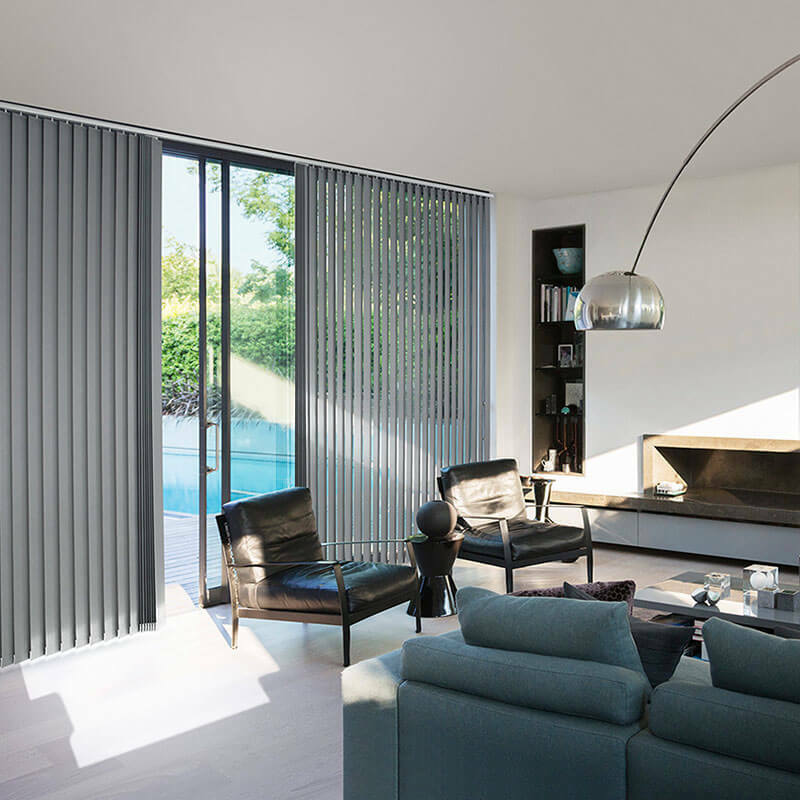 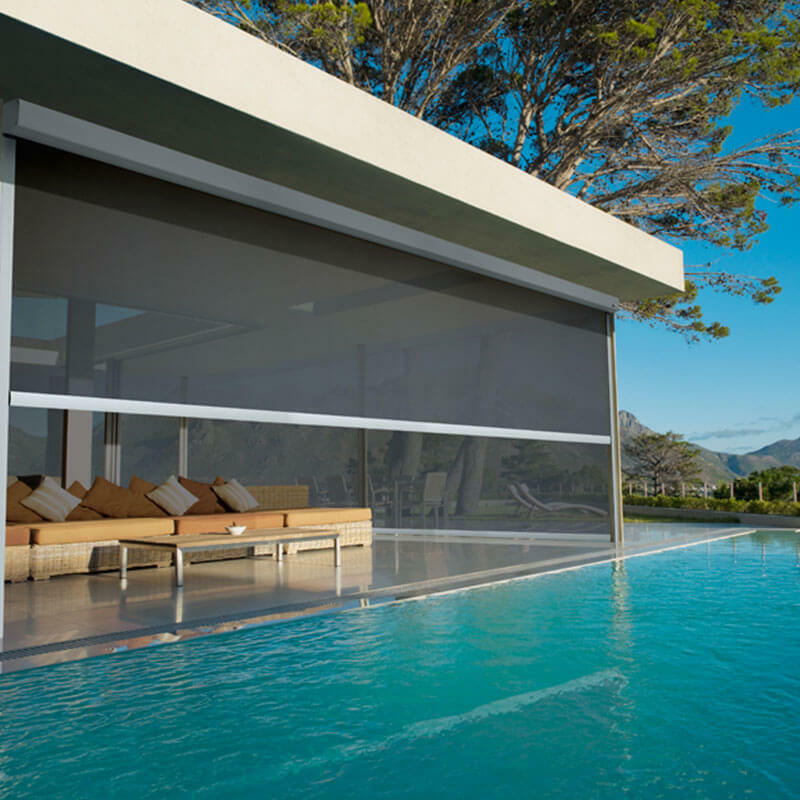 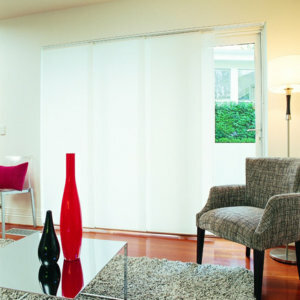 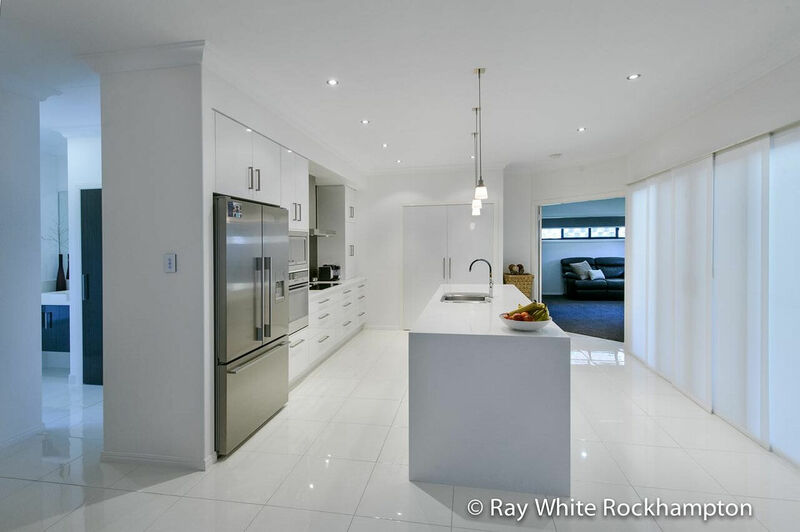 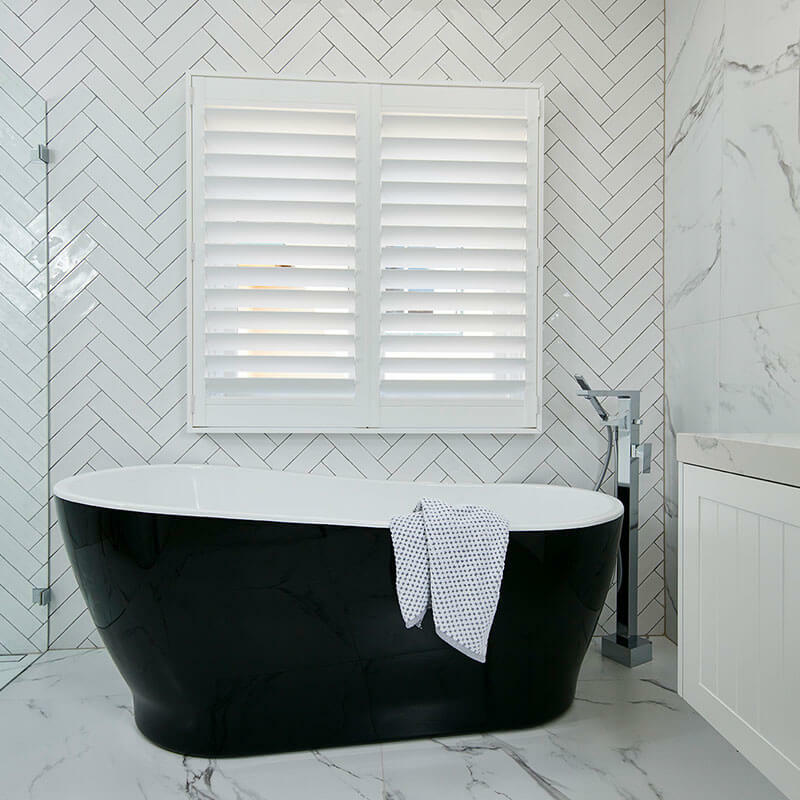 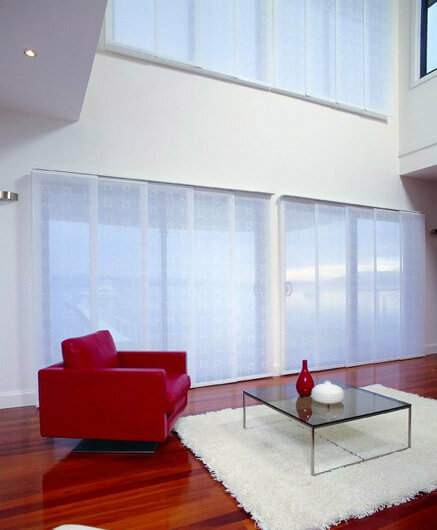 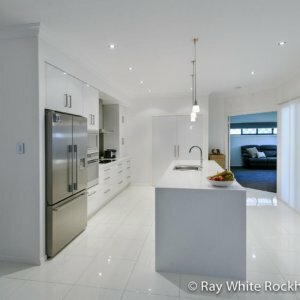 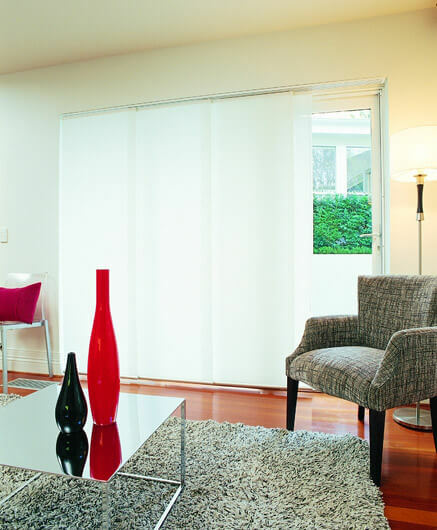 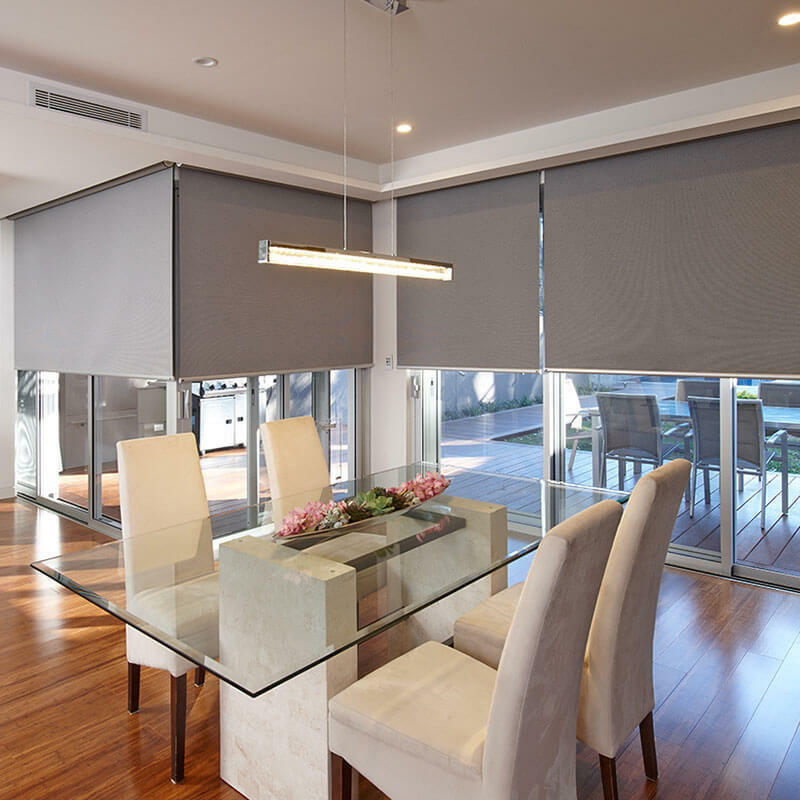 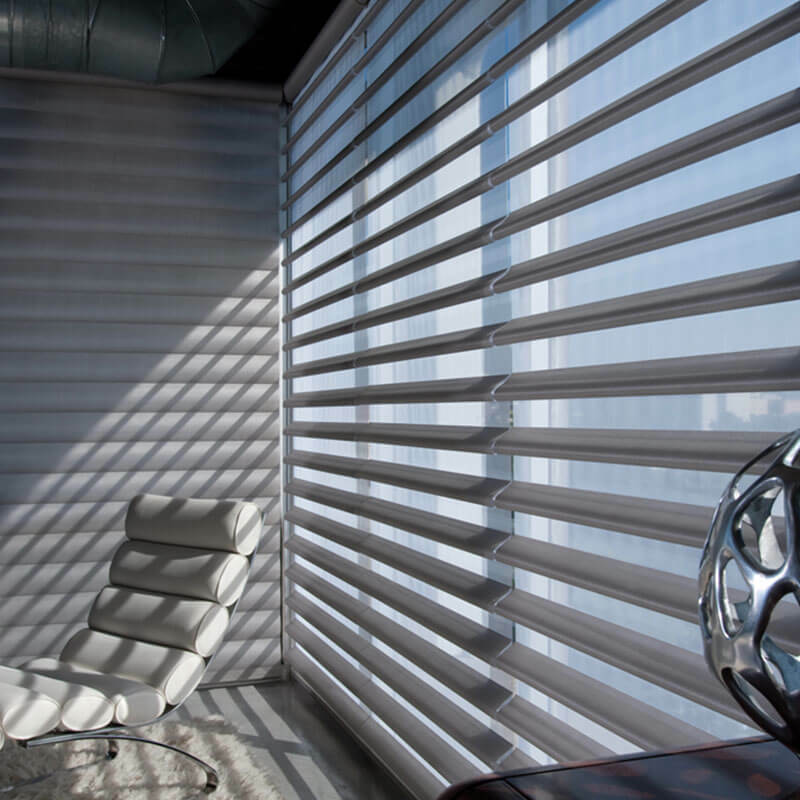 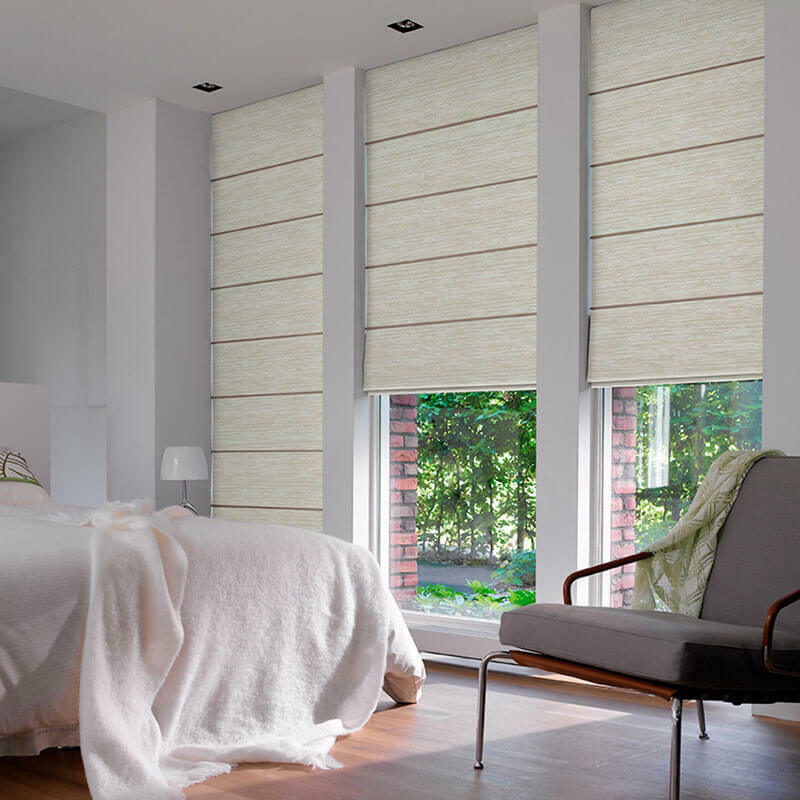 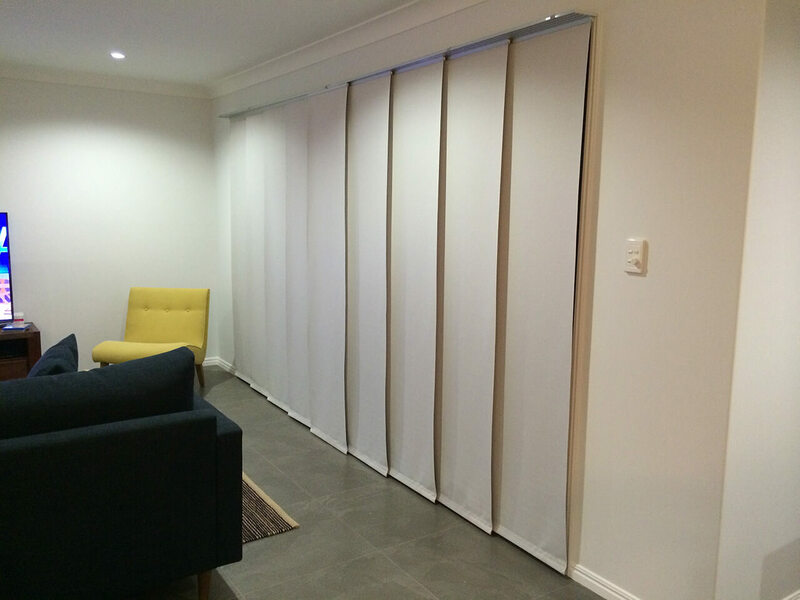 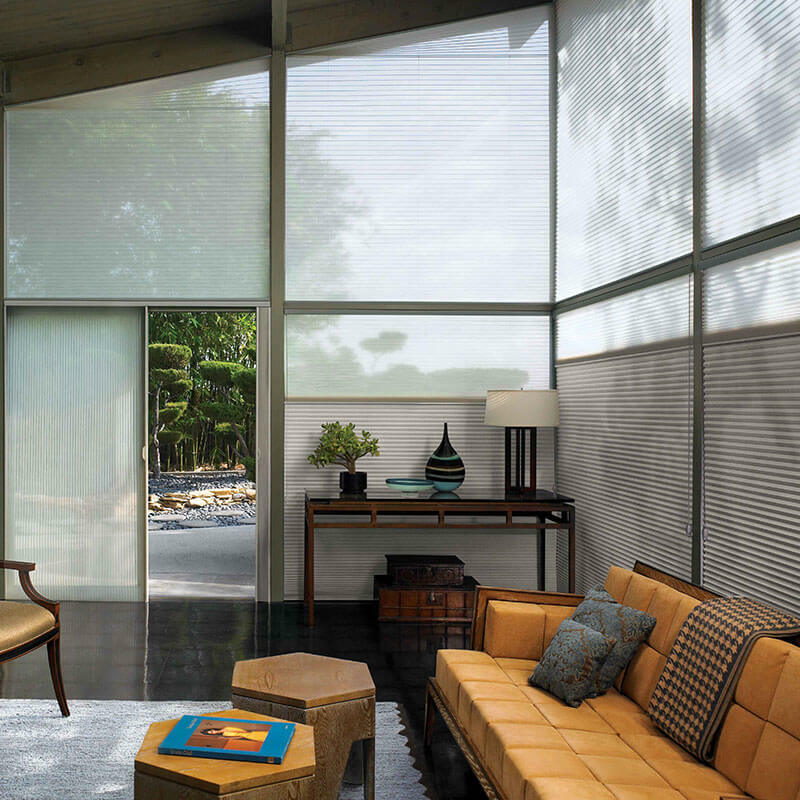 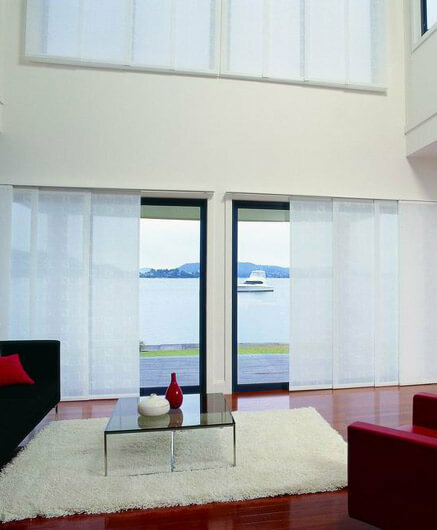 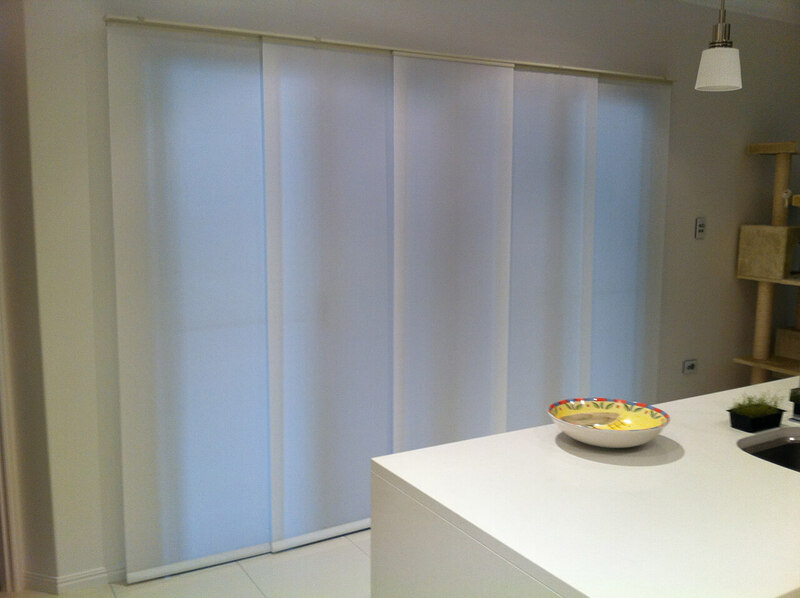 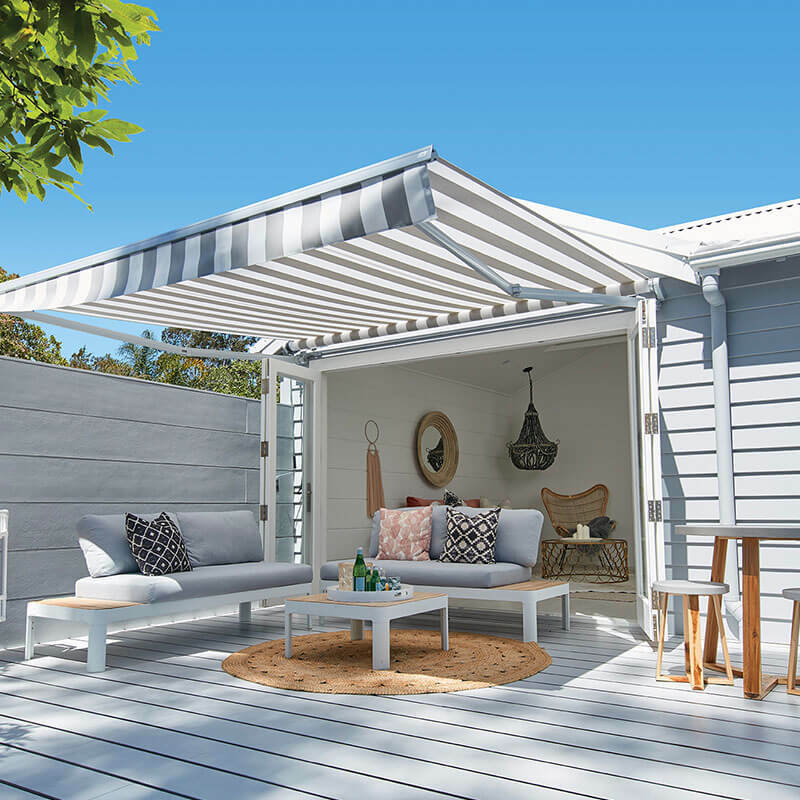 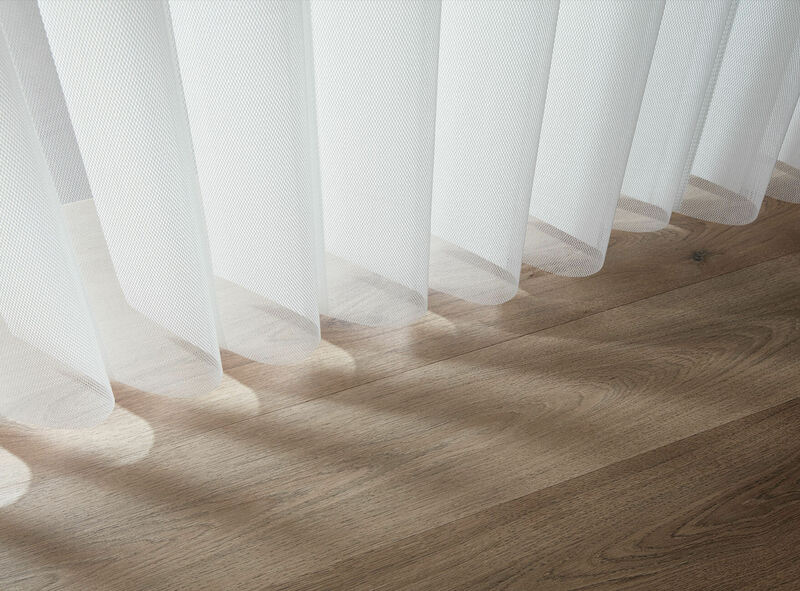 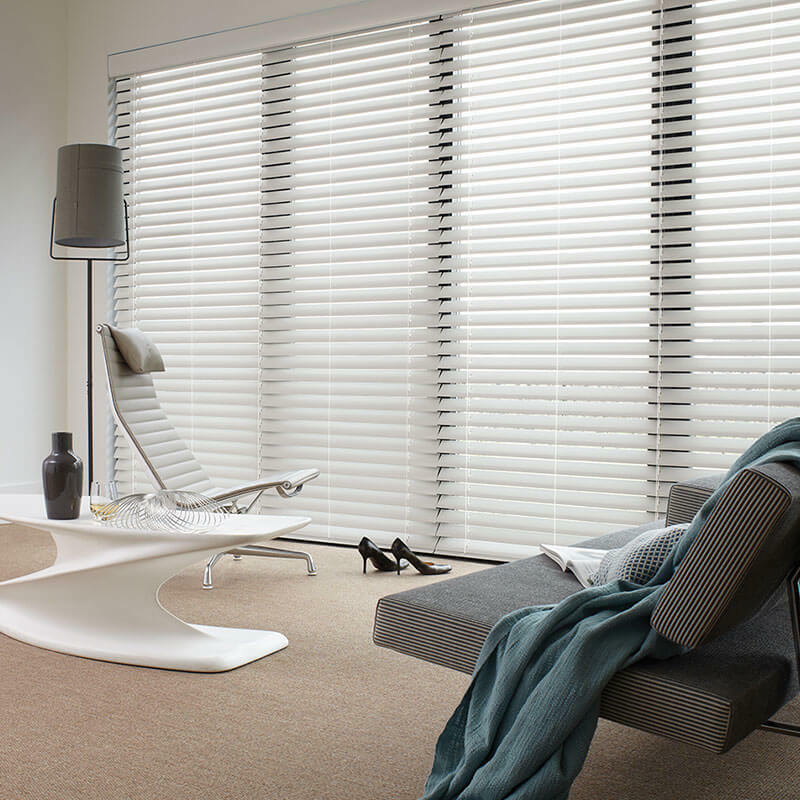 Luxaflex fabrics are designed to suit busy families and meet your light, glare, heat and privacy needs. 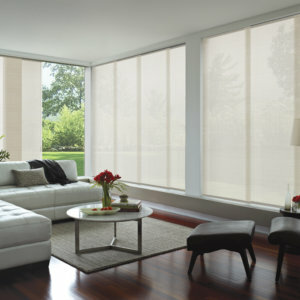 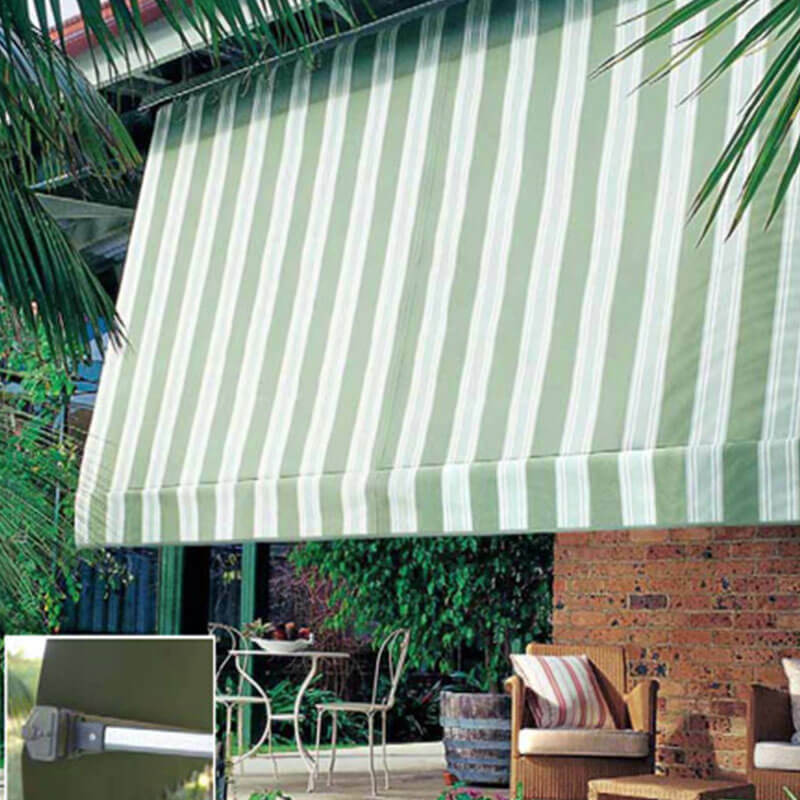 Available in a choice of over 200 fabrics, including translucent, blockout and sunscreen fabric types. 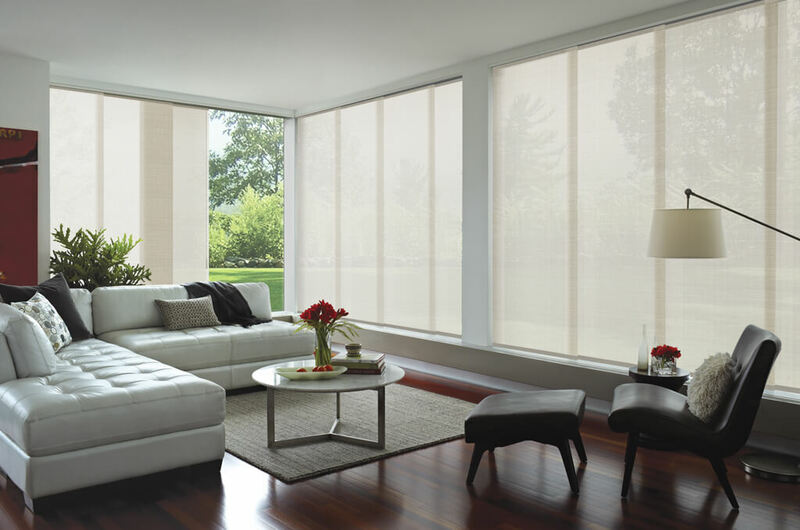 Easy-care and dust-resistant, many fabrics effectively repel most stain-causing agents.